This post first appeared in May 2011. Yes, I'm on vacation for another couple of days and Inkfish is in reruns. In a creature much simpler than a human, scientists have figured out how to erase a memory. Sea slugs that had received repeated electrical shocks learned to expect them again--until researchers gave the slugs an injection that returned them to blissful ignorance. The fellow above is Aplysia californica, a hefty sea slug that's shown here releasing its mysterious magenta ink. (I suppose that makes it an honorary inkfish?) Researchers at UCLA used a tankful of these quarter-pound slugs to test the hypothesis that a certain molecule allows the slugs to store long-term memories. At the beginning of the experiment, researchers tested the slugs' baseline sensitivity by poking them in the hind end with a broom bristle. This causes a slug to retract its siphon, a straw-like structure near the tail, for a second or two. Then they "trained" the slugs by giving them five sets of electrical shocks to the tail over the course of 80 minutes. Afterward, the slugs had learned the lesson that touches near the tail are bad. (Come to think of it, that may have been the title of a movie we watched in my fourth-grade health class). Twenty-four hours after their training session, the slugs still remembered; they retracted their siphons for 40 or 50 seconds when poked with a broom bristle. The reaction was almost as strong 48 hours after the training session. And then it was time for some Men in Black mind-erasing action. The molecule the researchers were interested in is called protein kinase M (PKM). A few minutes after the 24-hour test, they injected some of the sensitized slugs with a molecule that interferes with PKM and prevents it from doing its normal job--which is, in case you asked, adding phosphate groups to other proteins. The results were straightforward and striking. At 48 hours, when the other slugs were still extremely reactive to being poked in the tail, those that had been injected with the PKM blocker were completely back to normal. Their siphon-retracting reflex was exactly what it had been before their training. The memory of the electric shocks they'd received seemed to be gone. The scientists even tried reminding some of the slugs of their training. At 96 hours, they gave them one more set of shocks (as opposed to the five sets in the initial trial). The slugs seemed unimpressed, showing no change to their reaction. In another experiment, the researchers left the slugs alone for a whole week after their initial shock training. On day 7, the slugs were still sensitized from their training, withdrawing their siphons for around 40 seconds when poked. Some of the slugs were injected with a PKM blocker at this point, a whole week after the training session. The next day, those slugs' reactions were right back down to zero. The un-injected slugs, though, still remembered their shocks. The researchers also experimented on individual slug neurons--one sensory neuron and one siphon-moving neuron--that they removed from the slugs and kept in a dish. Again, they found that blocking PKM prevented the siphon neuron from retaining its "memory." So what is PKM doing to neurons that makes it so critical to long-term memory? New memories involve the growth of connections between neurons, and the authors think the ongoing activity of PKM might be necessary to maintain these structural changes. Without housekeeping by PKM molecules, the connections are lost. Researcher David Glanzman, who led the study, believes that understanding these processes could lead, in the future, to targeting and erasing specific memories in humans. 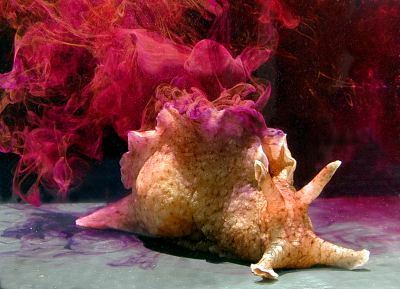 "Almost all of the processes that are involved in memory in the snail [or sea slug] also have been shown to be involved in memory in the brains of mammals," he said in a press release. It's a spooky idea, but erasing memories might be of help in treating post-traumatic stress disorder or drug addiction. The process might even be reversed to treat Alzheimer's disease, which is currently incurable. Let's hope that when that day arrives, someone remembers to thank the humble sea slugs.